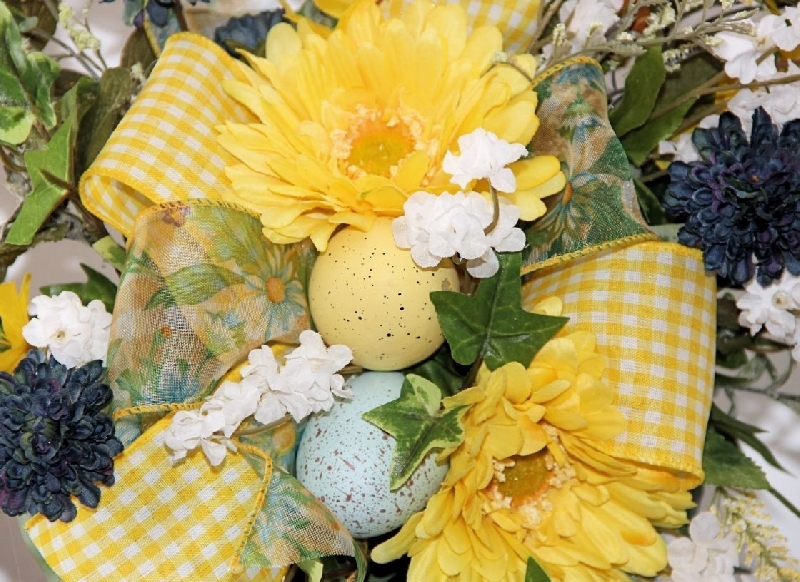 Dress up your lantern or birdcage with a beautiful swag for spring. This swag attaches to YOUR lantern or birdcage and does NOT include the lantern pictured. 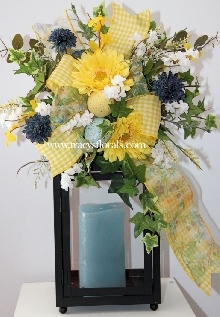 The swag is attached to ribbon and simply ties around the top of the lantern or birdcage. This swag is shown on a 14" lantern but could easily be used on another size. 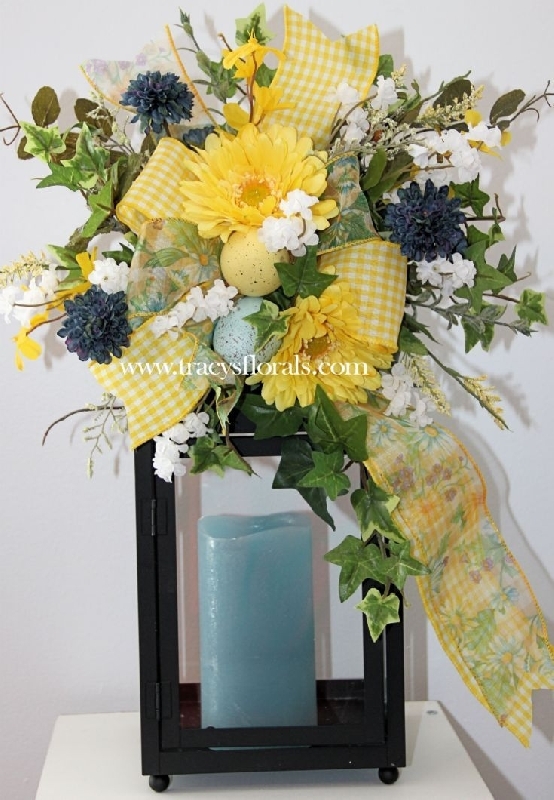 It features yellow daisies, blue mums, white flowers, yellow forsythia, speckled eggs, greenery, sheer spring floral ribbon and yellow gingham ribbon. We recommend using a flameless/battery operated candle with your lantern! Measures 11" wide, 9" tall, 18" including streamers. FREE SHIPPING ON THIS ITEM Approx. ship time: One to two weeks.